War Child aims to develop long-term relationships with individual donors to ensure the continuity of our country projects. Income from individual donors comprises the income of our structural donors (Friends), one-off donations, and legacies. In 2013, the total income from individual donors was € 8.1 million (including legacies). This is € 1.1 million, or 10 percent, less than planned. Approximately 91 percent of the income generated by individual donors came from Friends. For the first time in the history of War Child, we were not able to grow the income from Friends, but rather saw a decrease of 2 percent compared to 2012. Although we did acquire many new Friends and substantially upgraded reactivation campaigns, the economic downturn, a fatigue in structural commitment and an all-time low in ‘donor trust’, proved difficult to overcome. This can be seen in the higher exit of newly acquired Friends and an increase in exit from loyal long-term Friends. 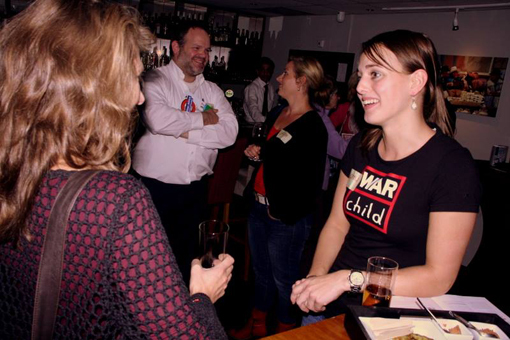 At the end of 2013, War Child’s Friends totalled 100,592. Income from one-off donations and legacies also decreased from € 0.61 million in 2012 to € 0.16 million in 2013. The main channel for acquiring new Friends in 2013 was door-to-door fundraising. We invested significant time and energy in improving the quality of this channel in order to reduce the churn rate, however with no result: the churn percentage kept increasing and, with it, costs. This led to the decision to stop third party door-to-door fundraising, and to focus on new and more innovative fundraising to generate structural income with lower costs. We started developing innovative fundraising methods in 2013 and expect that they will generate income in 2014. The action week ‘538 for War Child’ led to the acquisition of fewer Friends than planned. In 2012, we saw a huge increase in new Friends and one-off donations through online channels. However, this pattern did not continue in 2013, unfortunately. In 2013, we recruited 381 new Friends (37 percent less than in 2012) and counted 1,899 one-off donations (13 percent less than in 2012). three successful Friends meetings, using an improved concept and with presentations from staff from a variety of departments, including staff working in the field. 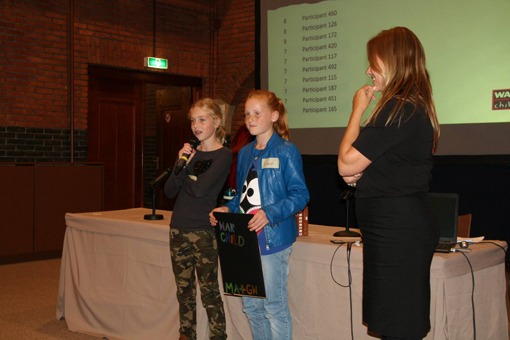 Friends of War Child received three postal mailings informing them about the results of War Child’s work in 2013. One of these mailings, sent out at the end of November, was a donation request: an appeal for additional funding for our work with Syrian children. The letter generated € 0.12 million, making it the most successful appeal ever for War Child. As a result, revenues from mailings were 41 percent higher in 2013 than in 2012. War Child was the beneficiary of ten legacies in 2013, totalling almost € 0,16 million, which is 74 percent less than in 2012. Although the income from this segment is highly unpredictable, we did look into developing activities that can improve our income from legacies in the future. One of these activities is the production of content for the legacy magazine ‘Voor nu en later’, with Liesbeth List (who experienced World War II as a child) as our spokesperson. This effort will not have short-term results, but rather it is an investment in generating legacy income in the long term. The increased churn rate for door-to-door fundraising resulted in a very low return on investment and called the value of continuing with this fundraising method into question. At the same time, higher churn rates amongst Friends have prompted War Child to develop different approaches and new ways of engaging Friends in our work. We need to better stimulate donor loyalty and improve our communication with the Friends group to increase the length of Friendships. Due to the decrease in the online recruitment of Friends and one-off donations, we need to look into how we can optimise fundraising though our website and focus more on direct response channels than on affiliate marketing. The direct mail, on the other hand, was successful for two reasons: we used the urgent topic of the Syria crisis, and we were able to keep the costs as low as possible by designing and developing the mailing in-house.